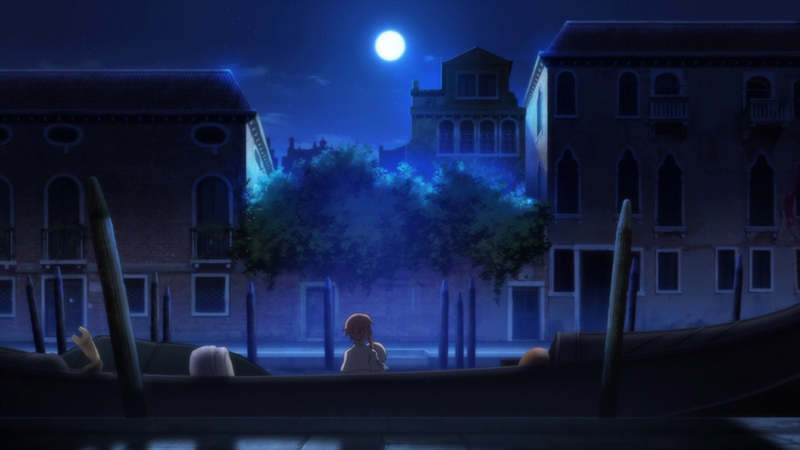 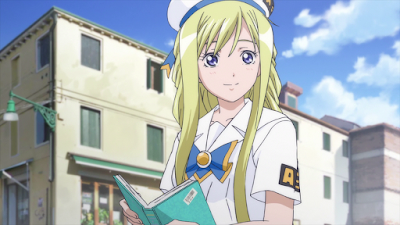 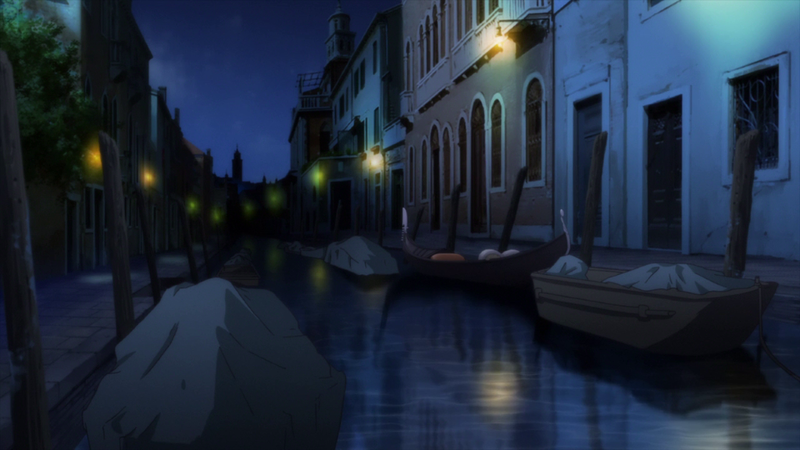 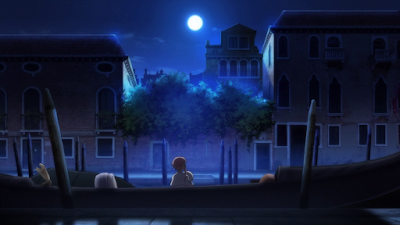 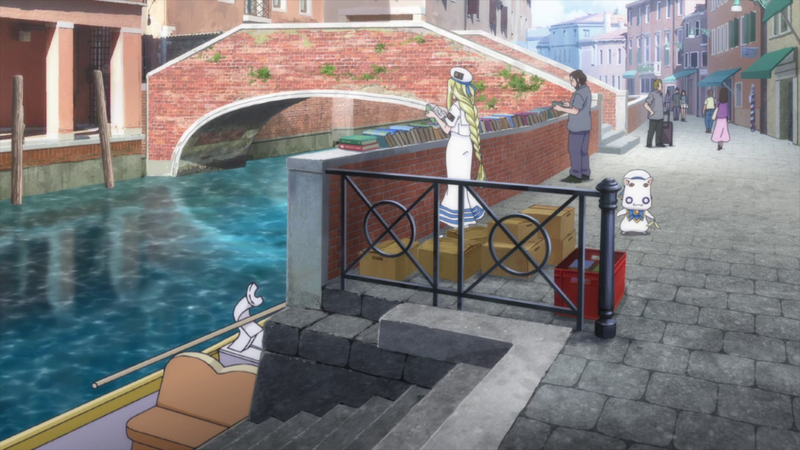 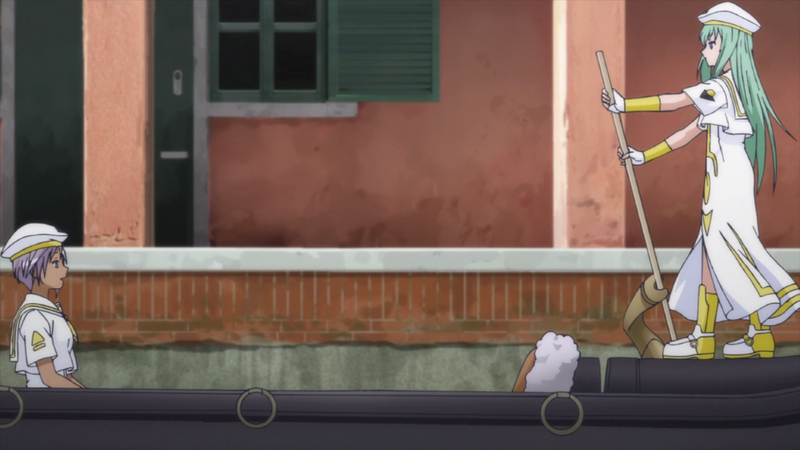 In episode 3 of Aria the Avvenire there's a short scene showing Alicia at Campo de San Basegio square. 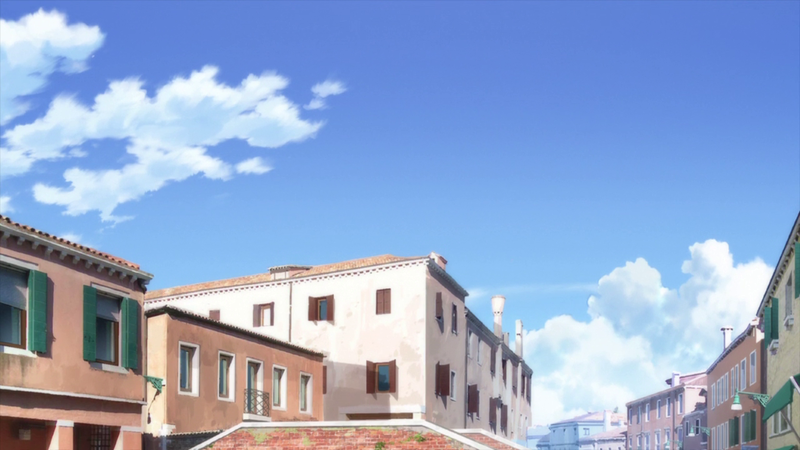 Tilting shot. 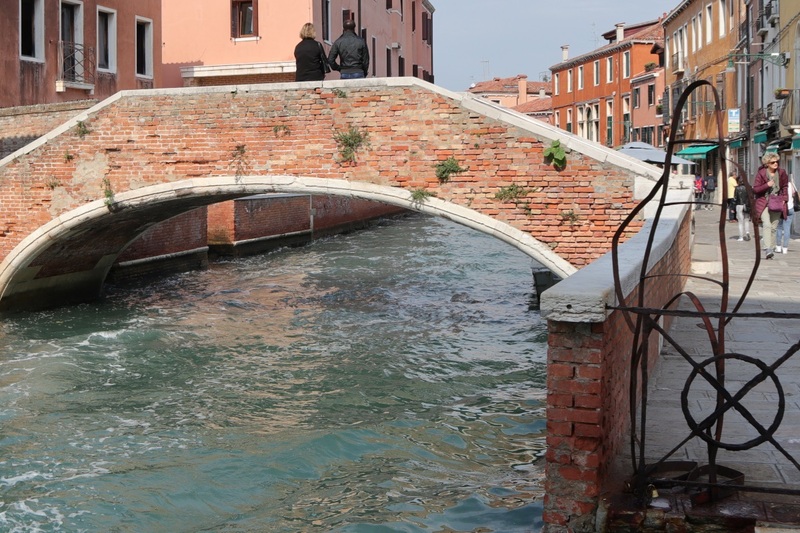 The bridge shown here is called Ponte San Basegio. 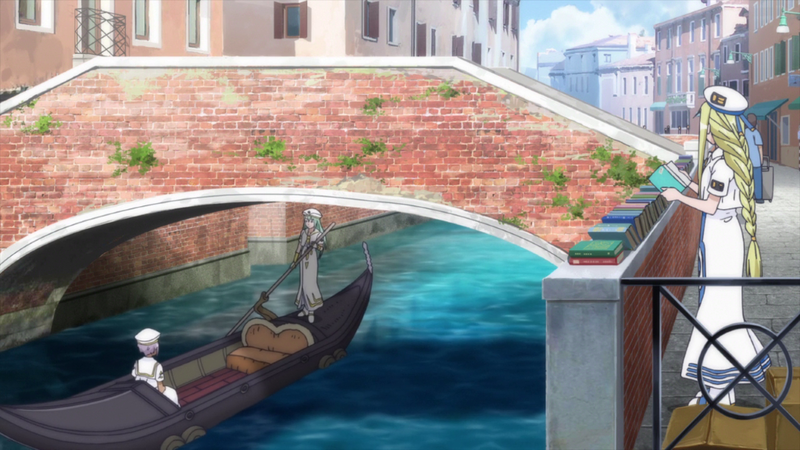 Alice rowing the gondola under the bridge. 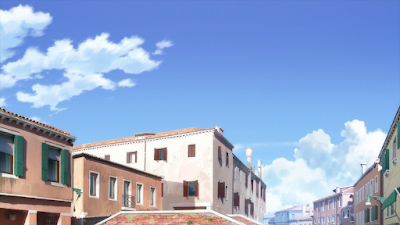 The building in the background here matches. Same with the buildings behind Alicia here. 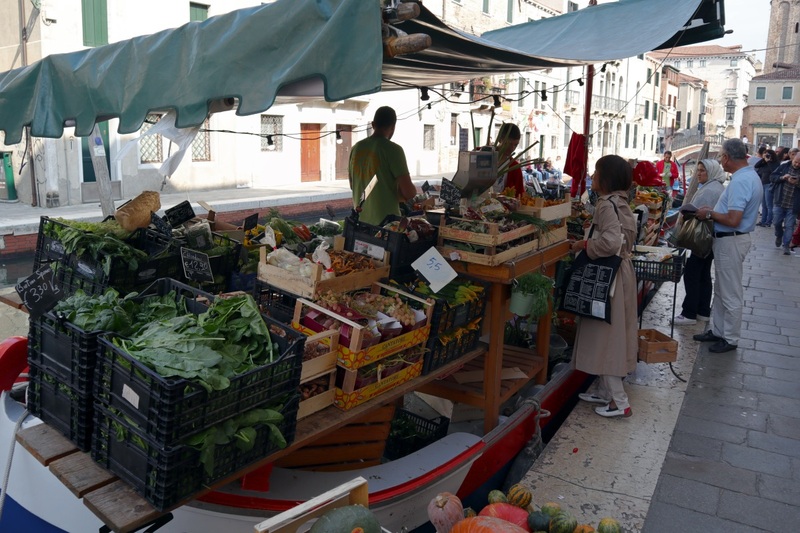 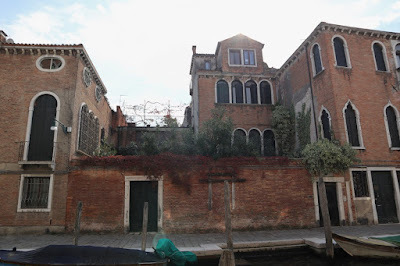 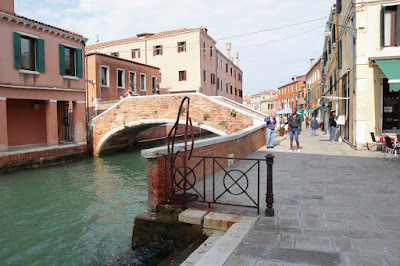 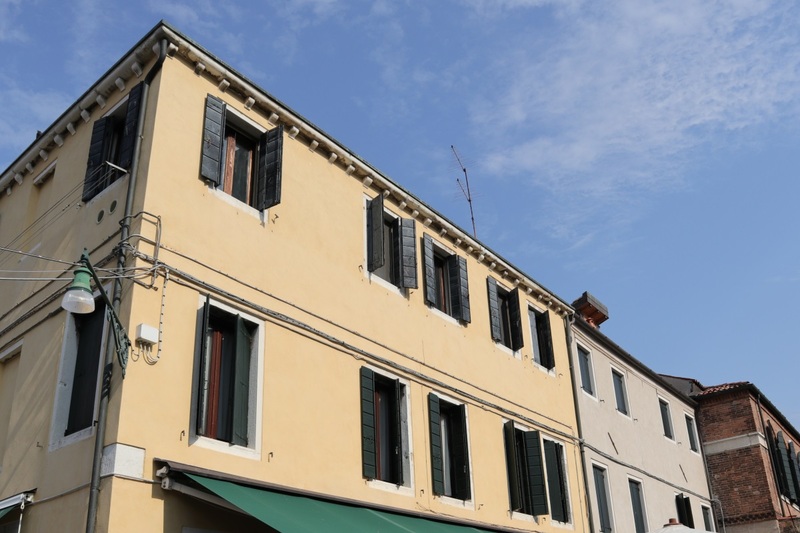 Close to the Campo de San Basegio there's also this place along the Rio de San Barnaba canal that's shown. 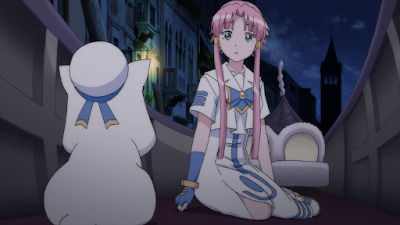 This is where Akari wakes up after meeting Cait Sith for the last time. 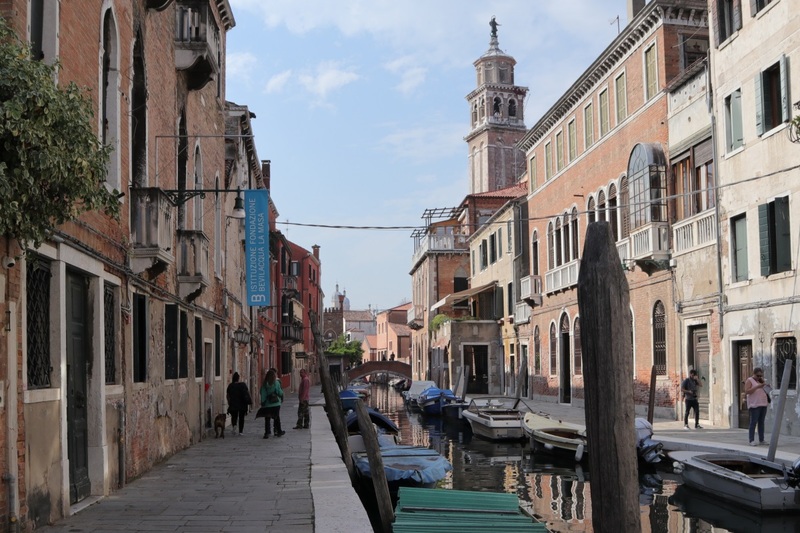 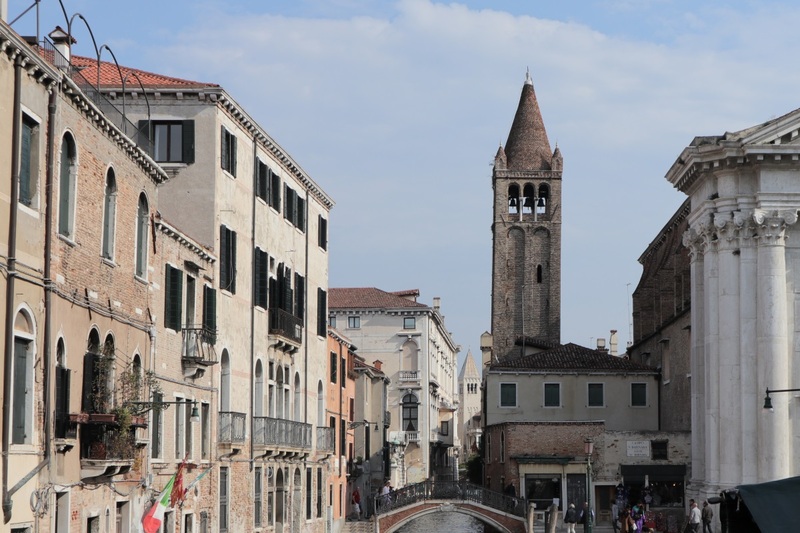 The tower on the right here is a part of the Chiesa di San Barnaba church. 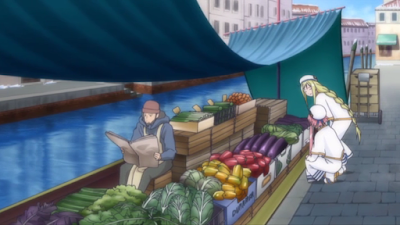 In this direction there's also this vegetables store that's shown in an episode of Origination. You can also see a small matching building on the right in the background. 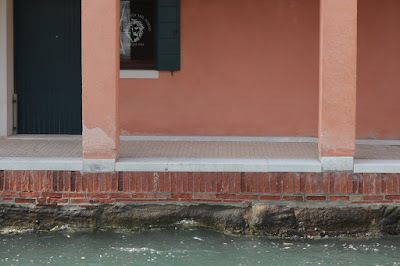 I've marked a path from Campo de San Basegio to the little garden you see here in the map below.